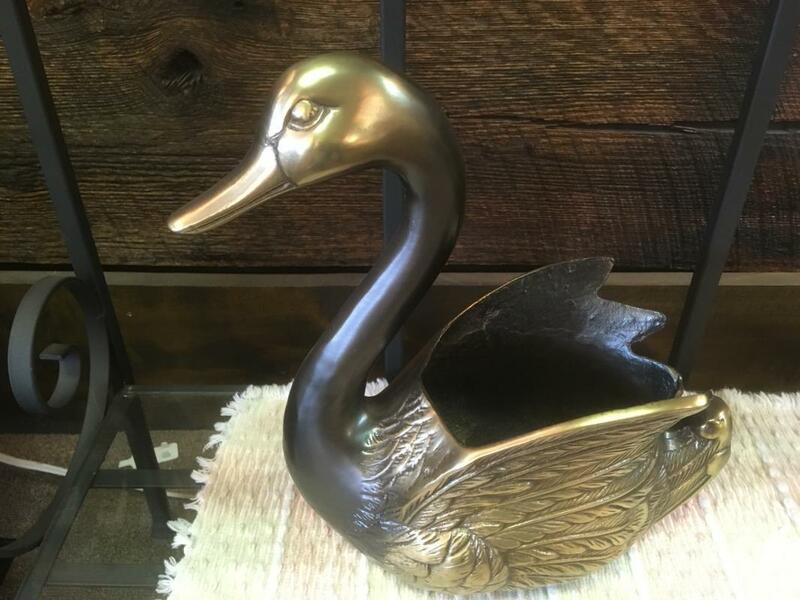 Lovely set of swan planters acquired from an estate sale and said to be 30 years old. We professionally restored them in a bronze finish. They are heavy cast brass with great detail. Measures about 12" tall, 10" wide and 12" long. 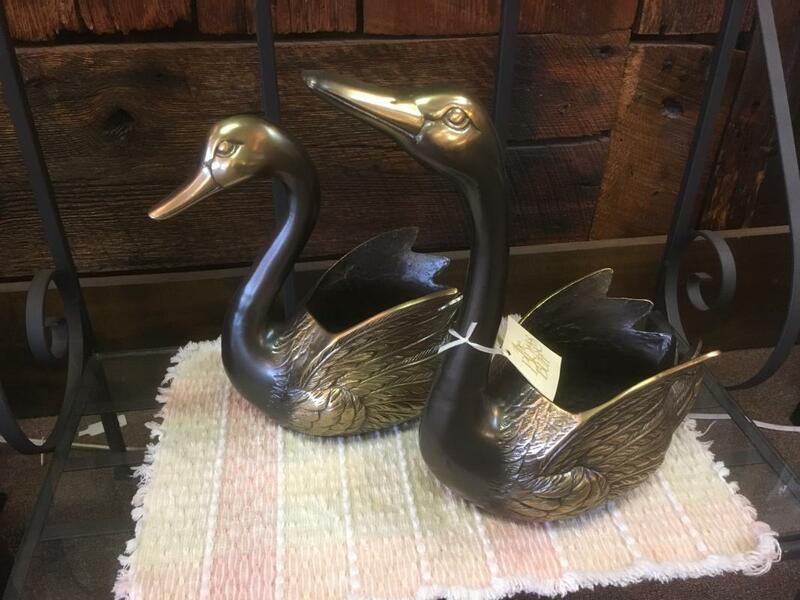 Would make great centerpiece holders. Email or call (9185921717) for moe info. 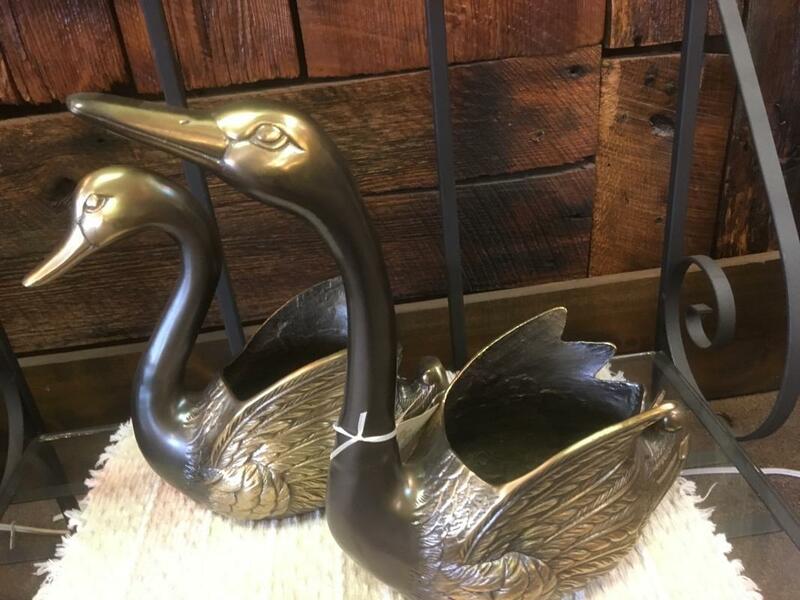 Items Similar To "Vintage Pair of Heavy BRASS Swan Planters"